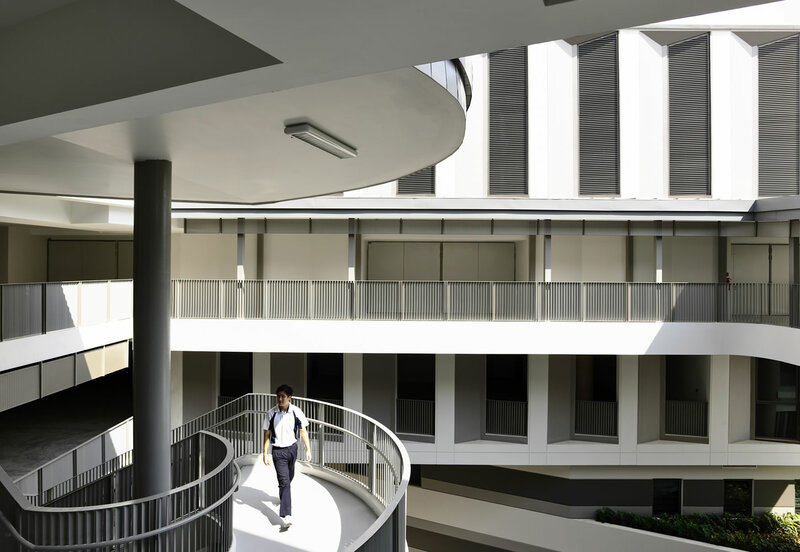 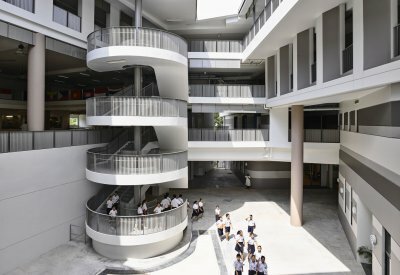 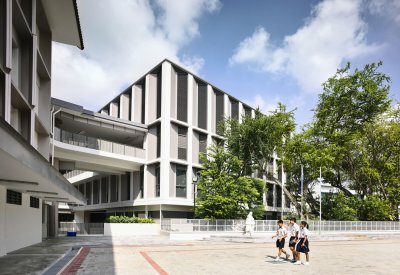 The redevelopment of Assumption English School includes revamping of the existing classroom buildings and adding new signature arrival blocks at the entrance to mark the presence of the Monfort Village at Upper Bukit Timah Road. 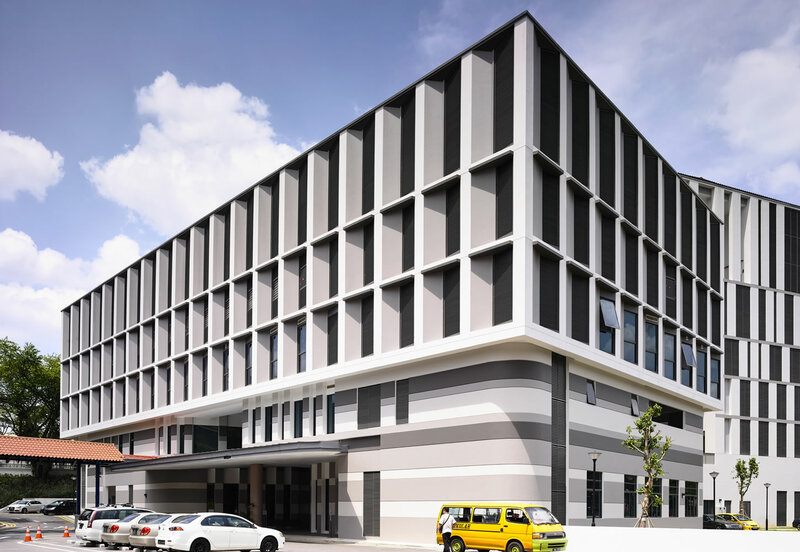 We are faced with several site constraints such as steep terrain, underground train tunnels and a nearby drainage canal to work around. Some of the design strategies include stacking of long span and large volumes such as the Indoor Sports Hall and multi-purpose hall to maximise building footprint and creating a new student-centric hub surrounded by common facilities such as the library and recreation spaces to generate buzz. 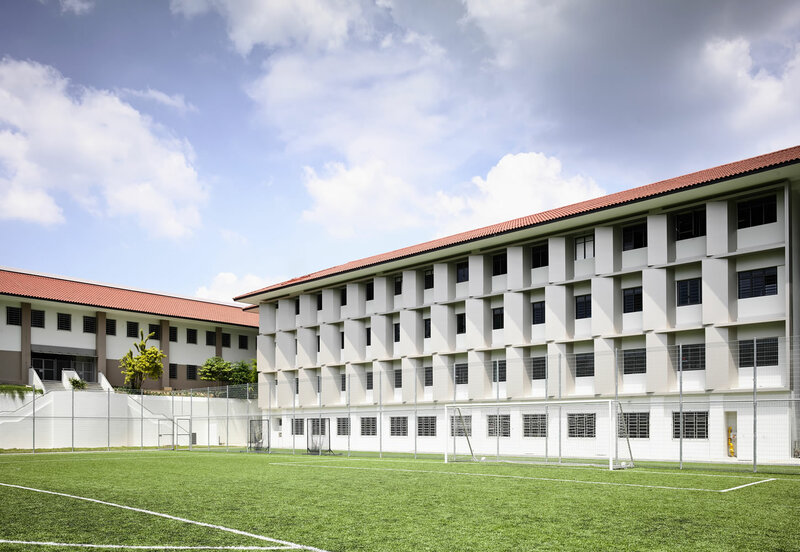 Working with a changing terrain meant that some new buildings were built up to 8-storeys tall in order to connect directly to the existing 4-storey facilities built on higher ground. 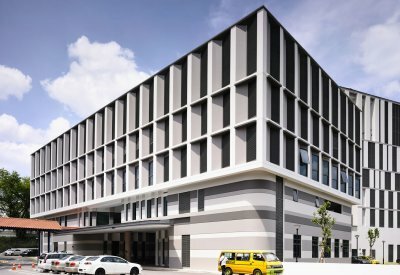 The challenge was to maintain the sense of intimacy and connection in this new high-rise and sprawling development. 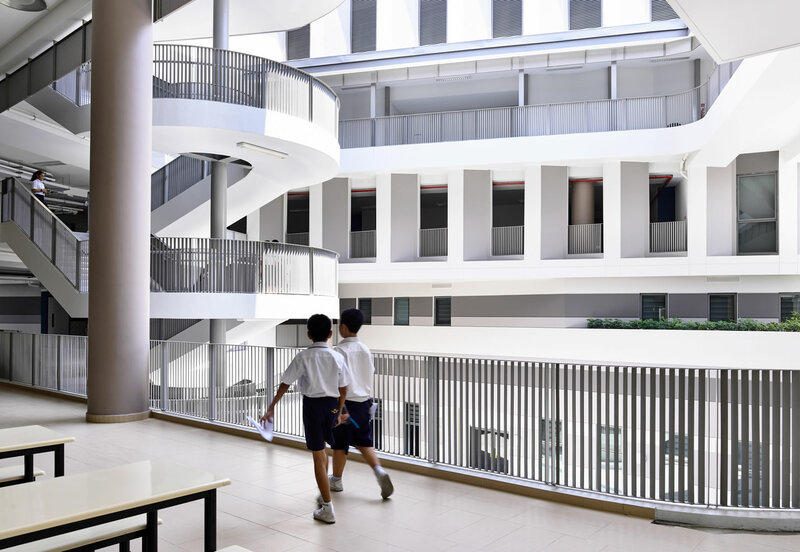 We achieved this by creating multiple courtyards with multi-level connections to help to reduce the scale of the expansion.